Acrylic and ink on canvas, 36x24"
This series consists of 13 paintings that include the lines of my poem Footless Dancers within each image, often with "creative spelling." The paintings show indigenous dancers resisting oppression: their energy bursts forth despite their confined space; their vibrant colors shine out from the tame grays; they are missing limbs and other body parts, yet continue to dance. The verses on the paintings are accusatory and direct, avoiding euphemisms, because injustice must be fully unveiled and acknowledged in order to make future unity possible. So much filth in this world! Because that is not my purpose. In my spirit it is transformed. An energy for the work that lies before me. I have fulfilled my purpose once more. ​And there is much filth to be transformed. Elizabeth Jiménez Montelongo is a visual artist and poet based in the San Francisco Bay Area. Her work revolves around themes of identity, transformation, and empowerment. She is intrigued by anything having to do with her indigenous Mesoamerican roots including: traditional dances, ancient architecture, native languages, and authentic pre-contact handpainted books (commonly known as "codices.") The ancestral ways have influenced both the ideas and visual aspects of her work and the way she chooses to present them. She shares her work for anyone who might find in it a moment of beauty, a connection, a truth, or be inspired to pursue their own creativity. 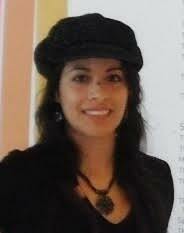 For art and poetry, as well as a partial list of earthly achievements, please visit: www.ejmontelongo.com.